Maisons & Domaines Henriot Buys Majority Stake in Beaux Frères The owners of Henriot Champagne have bought a majority interest in Beaux Frères Winery in Newberg along with 35 acres of vineyards. Beeaux Frères produces about 8,500 cases of Pinot Noir annually. Winemaker and co-founder, Michael Etzel remains President and CEO of the winery, while Robert Parker, Jr., retains a small interest in the estate. Etzel retains ownership of his second label, Sequitur, and its vineyard. Dehlinger Winery Buys Stiling Vineyard The Dehlinger family acquired the 35-acre Stiling Vineyard that sits next door to Dehlinger’s vineyards. A small amount of Stiling Vineyard grapes would go into Dehlinger wines but existing grape contracts will be honored. The Stiling Vineyard was developed by Don Stiling from 1988 to 2005. Women May be Better Wine Tasters than Men Researchers Dr. Paul Breslin of Rutgers University and Pamela Dalton tested men and women of different ages over several years to see if there was a measurable difference in how men and women smelled. Women in childbearing years were significantly more sensitive to women in other age groups and all men, and were able ti improve their ability to smell in ways that men were not. Women of reproductive age could identify smells at concentrations up to 11 orders of magnitude lower than men. Another study conducted in Brazil confirmed Breslin’s research. The results do not prove that females have an edge over males in tasting wine but it would seem that cycling women can train themselves to become better at discerning specific odors if cognitively engaged. Men sommeliers have differing opinions on whether this research translates to real world wine tasting, but then the job of sommelier is largely a men’s club with only 32 women among the world’s 228 Master Sommeliers. 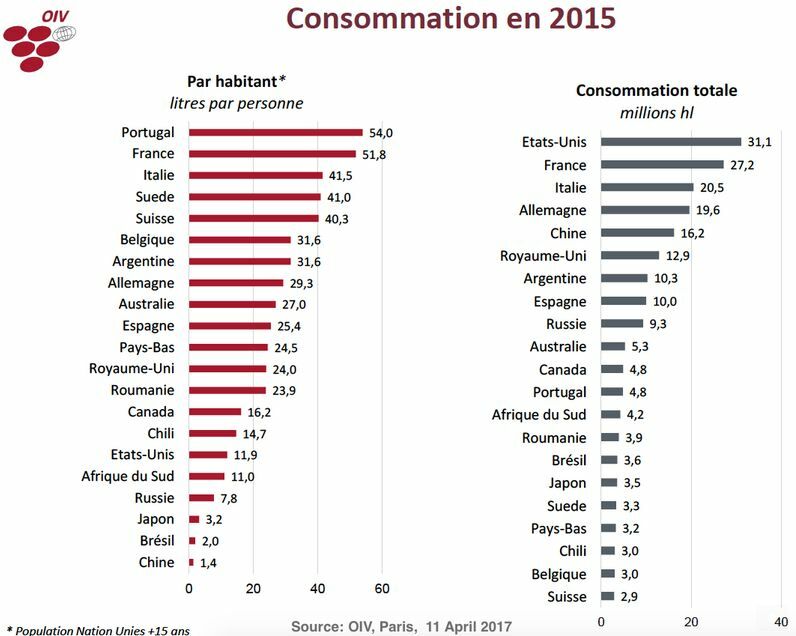 Per Capita Wine Consumption is Comparatively Low in US The US consumes more wine than any other country, but consumption per person is relative low in comparison to many other countries. Moving Your Wine Collection A guide, “How to Move Your Wine Collection,” is available that gives an extensive overview of how to figure out what to do with your wine collection during a move. Visit www.sparefoot.com/self-storage/blog/17674-how-to-move-wine/. DTC Wine Shipments Continue at a Furious Pace 45 states now allow direct wine shipments, with California, Texas and New York accounting for about half of DTC purchases. Sovos ShipCompliant’s 2017 DTC Report indicated that shipping volume increased more than 17% last year. Sonoma County is showing the fastest growth. Perceived Health of Wine About 60% of Americans and 70% of nutritionists say wine is health (obviously when drunk in moderation). 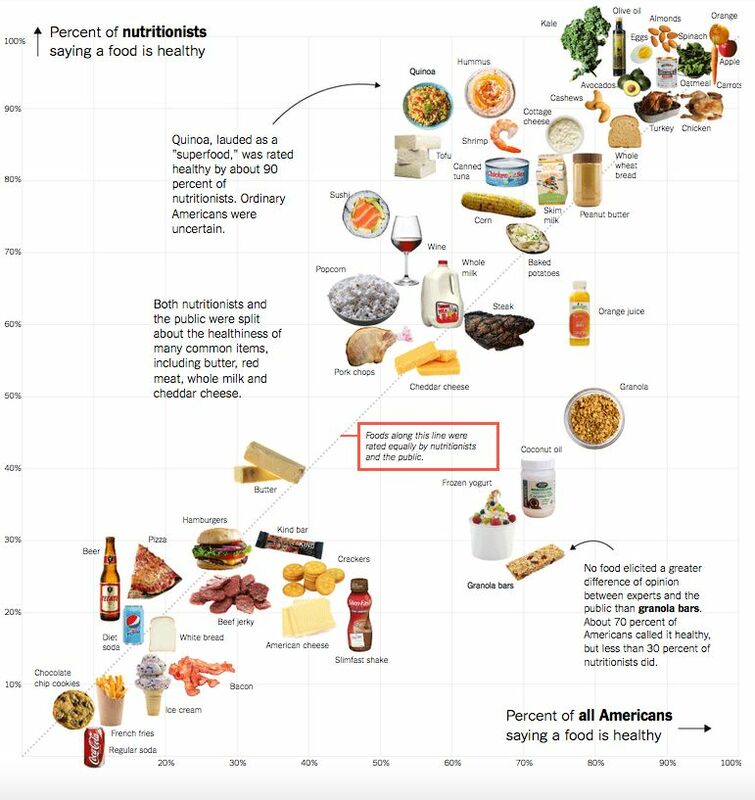 This chart shows the opinions of nutritionists and all Americans when asked about whether a food was health. Pinot Noir Masters 2017 The drinks business runs a series of tastings covering noble grapes and major wine regions called the Global Masters. The competition assesses wines purely by grape variety rather than by region and the wines are divided only by price bracket and style. The blind-tasting format was conducted by judges who include Masters of Wine and one Master sommelier on February 10, 2017. Some entries that did not receive high scores were either too green and weedy because of lack of ripeness or too alcoholic and jammy due to high temperatures during the growing season or picking too late. Judges were particularly critical of wines that had been produced with too heavy handed extraction and too much firm tannins. US entries that shined came from California’s Sonoma Coast, and Edna and Santa Maria valleys, as well as Oregon. The top scoring Pinot Noir was China Girl Pinot Noir from Central Otago’s Crown Range Cellar. Full results at www.thedrinksbusiness.com/2017/04/pinot-noir-results-2017/. Booze Wedding Gift Registry Wine Enthusiast has launched ThirstyNest, the first curated wedding gift registry for wine, spirits and drinkware. If you were getting married, wouldn’t you rather have a great bottle of wine to share than a mixing bowl? Visit www.thirstynest.com. Taste of the Mountains Menlo Park Wine Walk The Santa Cruz Mountains Winegrowers Association and Station 13000, a Greenheart Land Company project, present the third annual Taste of the Mountains Wine Walk on Saturday, June 3, in downtown Menlo Park. Profits from the event will benefit the Menlo Park Atherton Education Foundation (MPAEF). 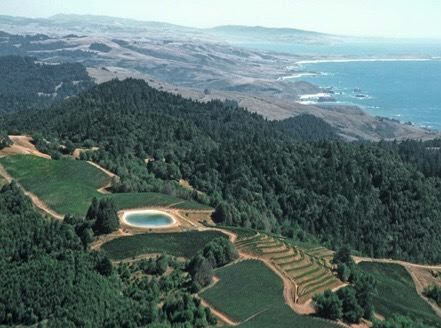 Tasting of boutique wineries of the Santa Cruz Mountains such as Mindego Ridge Vineyard, Silver Mountain Vineyards, and Burrell School Vineyards & Winery will be available at various locations up and down Santa Cruz Avenue. Wines will be offered for sale at the Bottle Booth with 20% of proceeds benefiting MPAEF. Tickets are $49 in advance at www.scmwa.com/ event/taste-of-the-mountains-menlo.